PANIC #3 published by EC Comics is filled with humor stories illustrated by Wally Wood, Jack Davis, Bill Elder and Joe Orlando. Cover by Al Feldstein. Panic was an offshoot of Mad and, in these early issues, had stories just as awesome as it’s predecessor. This copy is in Good to Very Good condition. 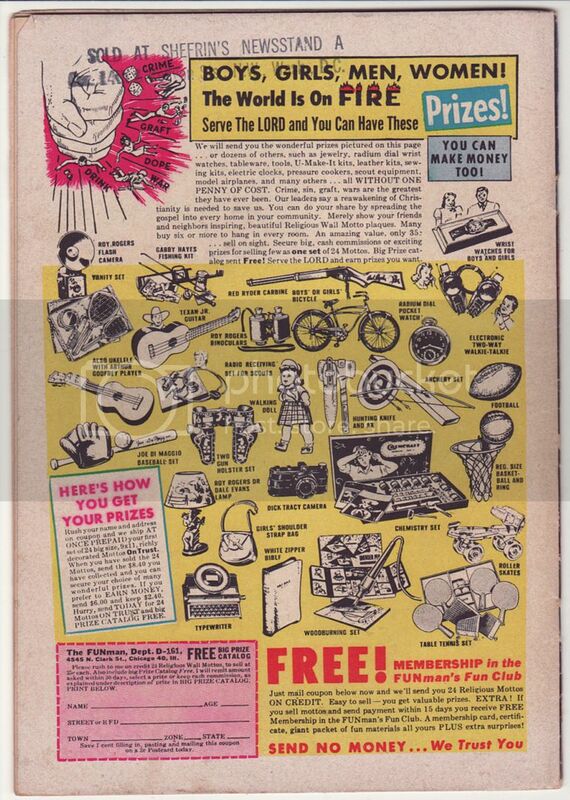 It has a Shefrin’s Newsstand stamp at the top of the back cover. SEE LARGE IMAGES BELOW. Categories: COMIC BOOKS, GOLDEN AGE (1938-1955), Humor. Tags: comics, EC, humor, Panic. 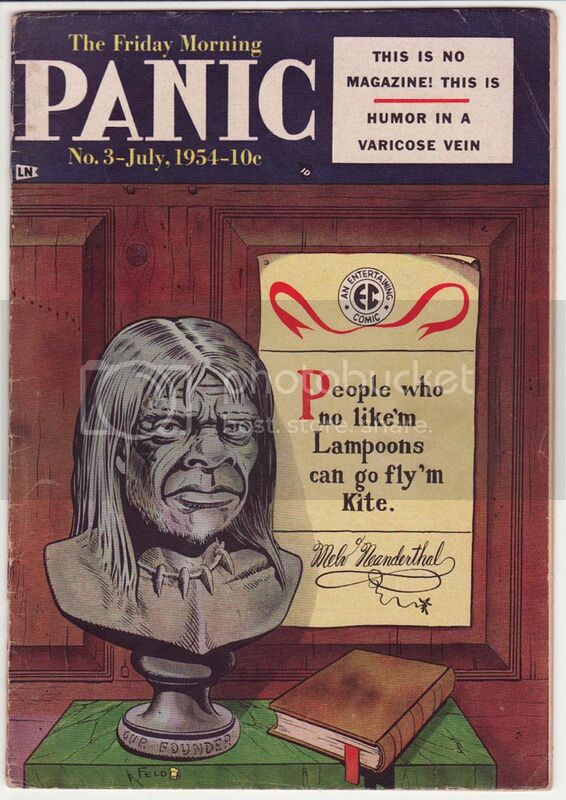 Be the first to review “Panic #3 (July 1954)” Click here to cancel reply.